Bret earned numerous amateur wrestling awards before turning to olympic style wrestling’s more theatrical counterpart and he is widely considered by his peers to be the most technically proficient pro wrestler of his era. But when Bret confidently asserts his slogan proclaiming that he’s the best there is, was or ever will be it’s not because he’s the toughest or the strongest … but because in all those thousands of hard hitting action packed bouts – what Bret is really so prideful about is that he never actually hurt even one opponent! It’s the ultimate irony then that Bret Hart’s wrestling career was abruptly ended by an errant kick to the head during a pay per view match that caused a severe concussion – followed by a major stroke! The Hitman battled back from this one-two punch and is looking forward to exploring new adventures – like Aladdin The Magical Family Musical , his first foray into live theater, outside the squared circle that is! Bret’s prior acting experience includes a recurring role on Lonesome Dove The Outlaw Years for which he received a Gemini nomination, as well as numerous sitcoms and adventure series. In the fall of 2004 Bret was voted one of the top 50 Canadians of all time on CBC’s Greatest Canadian. Bret says he doesn’t yet know how he’s going to live up to such an honor, but that it’ll be great fun to try! Bret is already researching his next book idea; a romantic novel that has nothing to do with wrestling. 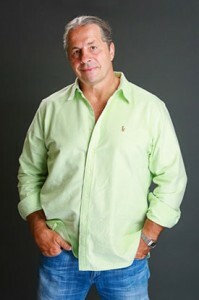 Bret Hart continues to consistently draw massive crowds all over the world whenever he appears at book signings, autograph sessions and as a riveting, humorous and inspirational motivational speaker. He also enjoys lending himself to charity events, when possible. Bret Hart battles Yokozuna at Madison Square Garden on March 20, 1994 with “Rowdy” Roddy Piper looking on as the match’s special guest referee as Hart attempts to regain the WWE Championship. The main event was a Four Corners Elimination match for the vacant WWF Championship, including Bret Hart, Steve Austin, The Undertaker, and Vader, which Hart won. Summerslam 1997 took place on August 3, 1997. It was held at Continental Airlines Arena in East Rutherford, New Jersey.